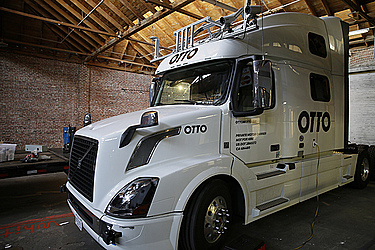 Levandowski insists self-driving trucks aren't as scary as they might sound. Robot truckers are less likely to speed or continue to drive in unsafe conditions than a human, and will never get tired. Between 10 and 20 percent of the roughly 4,000 fatal accidents in the U.S. each year involving trucks and buses are linked to driver fatigue, based on estimates gathered by the National Academies of Sciences, Engineering and Medicine.